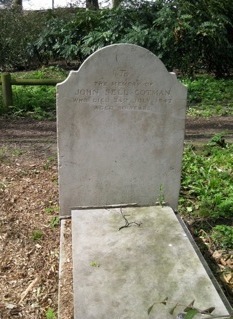 One of the most admired English watercolourists, John Sell Cotman is buried in the graveyard of St John’s Wood church, and there are signposts to show the visitor the position of the restored grave. 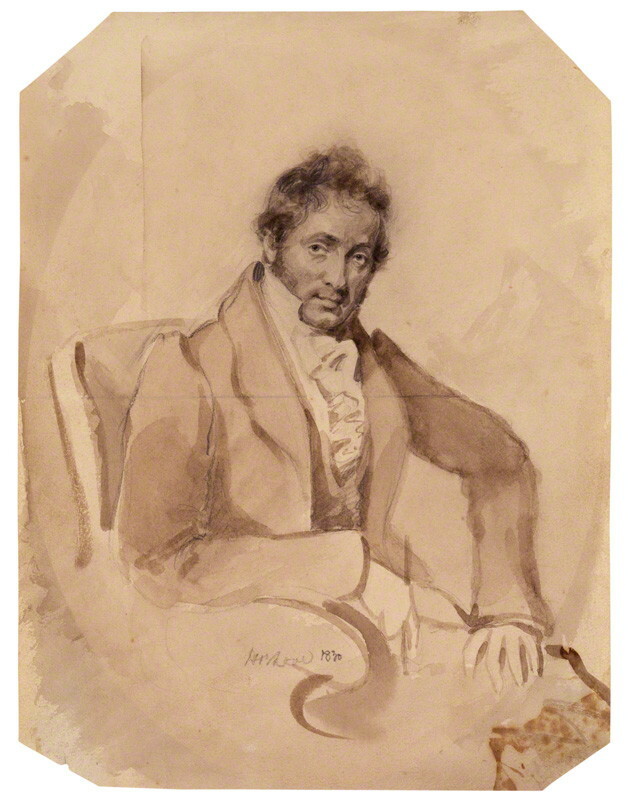 Cotman was born in Norwich where his father was a silk merchant and came to London in 1798 to further his artistic education; there he became a leading member of the group of watercolour artists that gathered round Turner, joining a sketching club started by Girtin, and, initially, making a living through commissions from print sellers. 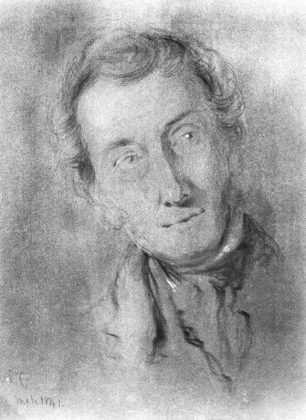 In 1800, he had paintings exhibited at the Royal Academy for the first time, and went on several drawing trips through England and Wales. In 1806, he returned to live in Norwich, marrying farmer’s daughter Ann Mills in 1809. Cotman made a living through teaching, helped by his subscription library of a thousand watercolours that his students could borrow. He published his first set of architectural etchings in 1811 and in 1817, after the end of the Napoleonic Wars, he visited Normandy to draw the round arched Norman churches which he preferred to the Gothic style. He was a wonderful architectural draughtsman though his etchings and drawings were not as popular as his watercolours. His marine paintings date from 1812 –1823. when he lived on the coast at Gt Yarmouth. With five children he constantly had financial struggles and was recommended by Turner to be appointed Master of Landscape Drawing at King’s College School in London in 1834 and was joined there by his son Miles as an assistant in 1836. By the 20th century Cotman was the most admired English watercolourist, partly because the curator and collector James Reeve (1833 – 1920) established his reputation and sold his own collection of Cotman’s works to the British Museum. His landscapes had an uncluttered sense of design and clear colour which were emulated by amateurs and indeed his name is used as a trademark by Winsor and Newton for a range of artists watercolour materials. Paintings by John Sell Cotman may be seen on the Castle Musuem, Norwich, website and on the BBC Your Paintings website.